You know the feeling, right? Countless people can identify with feeling tired and living with chronic digestive problems. 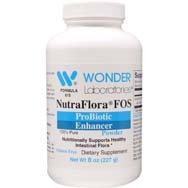 Now, an increasing number of people are turning to probiotics for healthy digestion, immune system support and other related disorders. 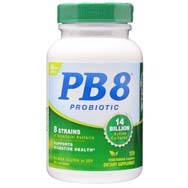 Many people, like Carolyn, are discovering how 30 billion good bacteria – in the form of a probiotic/prebiotic blend – can improve energy levels and digestive health! We’re proud to be able to help people like Carolyn with our proprietary probiotic/prebiotic blend, which contains 10 strains of friendly bacteria that inhabit the human gastrointestinal tract. 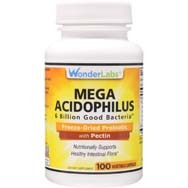 Each capsule contains 15 billion good bacteria, which means each dose (two capsules) contains 30 billion organisms that combat fatigue, immune disorders, digestive issues, and other health problems! 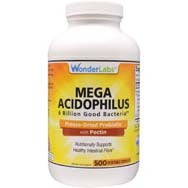 What Does a Probiotic Capsule Do? 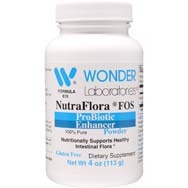 Wonder Labs Probiotic contains both probiotics and a prebiotic that work together to support colon health, promote digestion and support the immune system for better health throughout the body. 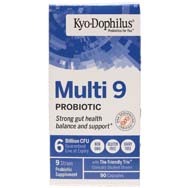 * The product features a proprietary blend of 10 different probiotic strains plus the prebiotic of Inulin. 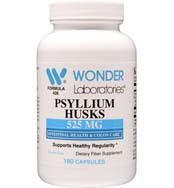 Inulin is a type of plant fiber rich in naturally occurring polysaccharides. The source of our inulin is the root of the chicory plant. 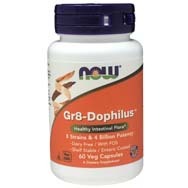 Our probiotics are made in the USA in an FDA Registered Facility using Good Manufacturing Practices (GMPs). 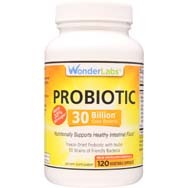 What Are Some of the Benefits of Probiotics? Provide a boost to the immune system. Improve heart health by lowering LDL cholesterol and blood pressure. Protect against colds and flu. Heal “leaky gut syndrome” and other bowel issues. 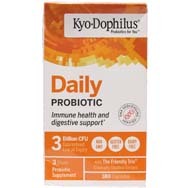 Probiotics occur in many types of foods, such as miso, yogurt, tempeh, kombucha, sauerkraut, and kimchi. Of course, if those foods aren’t a regular part of your diet, you may find it much easier to simply take a daily probiotic and enjoy all of the benefits these healthy bacteria have to offer. Do you use a probiotic? 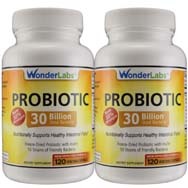 If so, tell us on Twitter why you love probiotics!